We have over 40 years’ combined experience in Telecommunications and Information Technology. We understand that having a stable technical platform translates directly into a productive, efficient, and secure business resource. We are also well aware of the time taken away from critical business tasks because a piece of technology was not performing well. We have always had a dream of owning our own business. Our CMIT Solutions business satisfies the entrepreneur and the technologist in us. We help small to medium size businesses in Orange County, Durham, and surrounding areas achieve the same level of IT services and security as the large businesses have. 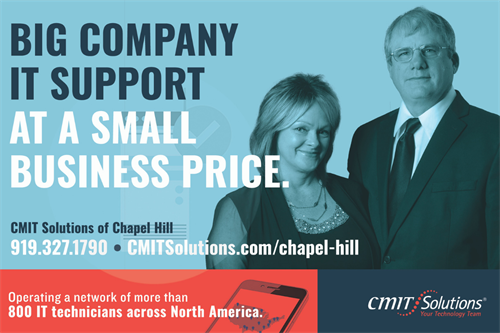 CMIT Solutions of Chapel Hill is the small business Managed Services and IT Cyber Security Solution company to help businesses plan and proactively manage information technology, transforming your IT into a cost-efficient competitive advantage, rather than a source of pain and frustration. Operating a network of more than 800 IT technicians across North America. We will keep your business safe, secure, up and running. 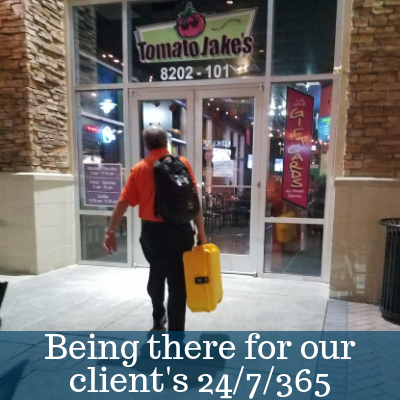 PCs, servers, routers, remote and onsite backup, help desk support with a Network Operations Center staffed by over 300 engineers all working 24/7/365. Selecting an IT solution for your business is not a technical decision, it's a Business Decision. Make a wise decision and call us today. As your IT partner, your success is our success. 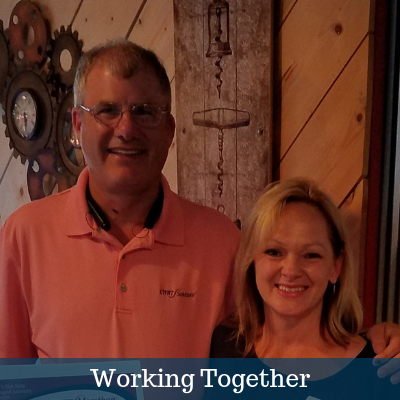 We are looking forward to working on your strategic IT needs so you can get back to what's important, your business.